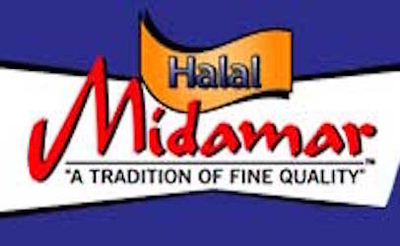 In an article published by American Thinker and republished today by Islamist Watch, Johanna Markind examines a federal criminal prosecution against Islamic Services of America, Inc., Midamar Corporation, and Jalel and Yahya Aossey, which seems based partly on claims the defendants filed false paperwork and partly on claims that meat labeled as halal was actually non-halal. Is the latter a federal crime? There's a further twist to the story, separate from the article. On May 12, 2015, federal agents executed a search warrant at Midamar, seizing documents and downloading e-mails in connection with a gun-running scheme. Meat, it seems, is not the only thing Midamar was exporting. It is unclear whether the Aosseys and Midamar will be charged with smuggling guns. To date they have not been. Midamar's lawyer claims the allegations concern shipping-container space the company provided as part of a company-sponsored clothing drive for Syria and Lebanon. Even odder, while it's unclear where the guns were headed, the gun smuggler had ties to the Shi'ite group Hezbollah, whereas the Aossey family who run Midamar have ties to Sunni Muslim Brotherhood groups.